When my dad asked for my help building the studio at Santiago High School, I was all for it. I gathered as much of the equipment that I’ve collected over the years and tried to frankenstein them into something that would work until I could raise the funds to give those whippersnappers something proper to learn on. It wasn’t easy because most of my equipment is uh, tricky to use, having been charred in that fire and spent years in dusty solitude. Trying to teach and learn on my console was challenging to say the least, but thanks to everyone who bought the items for sale in the last auction run, I was able to buy this Allen and Heath GL2200 24 channel ANALOG console! Knobs that turn, faders that fade, and outputs that put out! It works like a charm and is easy to learn on, and I feel like now the studio is finally fully operational. 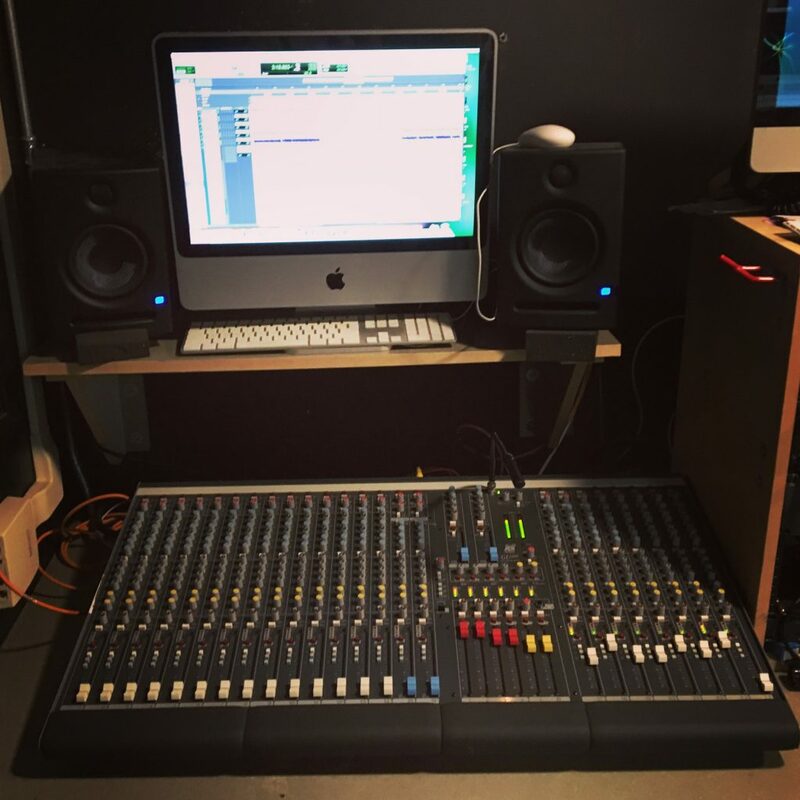 Obviously this is just the bare bones of a recording studio, but it’s a huge moment for me and for the class because it all FINALLY came together. I am currently reaching out and collecting more goodies to auction off soon, and will definitely make announcements about each one. Thanks again to everyone for all their support! Cheers! Previous Post Pitchfork Supports Studios For Schools! Next Post Pin Pack #1 Now Available!